When implementing a digital sales or social selling program, the biggest single point of failure can be writing LinkedIn messages to buyers. Or to put it in simpler language, the ability to craft well thought out messages that convert into offline conversations between seller and buyer. Every sales strategy most likely has a multi activity approach which may include phoning, emailing and social interaction. 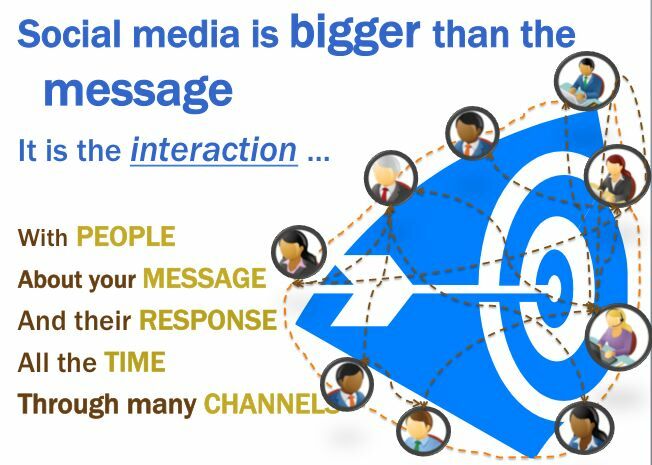 However, sales people who use social selling as their primary customer acquisition channel are now getting the majority of their leads via well crafted and well timed messages via social media platforms such as LinkedIn. So here are some tips on writing LinkedIn messages (or indeed for any social media platform) to potential buyers so sales people can generate sales pipeline quicker. Long before a sales person ever writes “that message” whether it is for a connection request or for conversion to pipeline, we need to take a step back and consider how much we really understand our buyers. For example at The Bitter Business, I target 3 ideal customer profiles (ICP’s)/buyer personas: Sales Leaders, Marketing Leaders, and Sales Trainers. I created these ICP’s so I can create content that speaks and resonates with people who are interested in using social media to drive sales. I also use these buyer personas to gain an understanding of my target audience, their needs, wants, concerns and business challenges within their industry. Remember the 5 Buyer Why’s when developing Ideal Customer Profiles and content that matches for social selling. Why listen? Why care? Why change? Why you? Why now? Every sales person and every sales team should sit down with marketing and create 1, 2 or 3 ICP’s as to take targeting of buyer personas to the next level. Use this exercise between sales and marketing to explore what are your prospect’s biggest fears or challenges, the consequences of them maintaining a status quo position, and the biggest win you and your business can deliver to them. It may sound simplistic but the better you understand your buyer, the better chance sales people have of being able to move buyers out of their status quo and walk with them on their buyers journey. Value is the currency for buyer connectivity. So once we understand the buyer’s position and needs, we need to source insights (news, data, information, research) which prove that we understand them and their industry. There are many content curation tools such as Owler, Scoop.it. Crunchbase, Google Alerts, Twitter Lists, and LinkedIn. The Buyer: Start by following the buyer on LinkedIn, Twitter even Facebook. The objective is to discover how socially active they are plus what content or conversations are they engaging with as to ascertain what they are interested in. Also try to find out if the prospect has been referenced in an article, has been complimented in a conversation or writes blog posts. There are great opportunities to engage the buyer in a starter conversation. The Buyers Company: The level of data or insight you can get on a company depends on their size. A good place to start is their blog and do a Google search for news and announcements. Remember there are 5.4 decision makers involved in a business purchase so do some LinkedIn research on the senior players. What groups do they belong to, what level of connectivity do they have and who are they connected to. Make sure to follow their company page and twitter accounts. Then repeat a Google search for these names to find out some information or news. Also look out for press releases, newly appointed people, announcements, press mention and maybe sign up to their company blog posts. The Buyers Industry: Another way to build value is to understand the industry dynamics of your buyer. What trends, data or insights can you gleam from business research companies such as Forester, Aberdeen Group, McKinsey and Gartner. Become valuable to the buyer in sharing quality information while gradually positioning themselves as a trusted source..
Once a sales person feels they can bring value to a buyer (via understanding and relevant insights) with content worthy of sharing or to spark a conversation then they can proceed to the message or engaging phase. Do not rush into this. Regardless of whether it is a connection request, a conversation starter or a conversion message, crafting the correct wording is critical. The Subject Line: Very few buyers will open a direct social media message/email/InMail unless they are intrigued by your Subject Line. It is essentially the gateway to opening a relationship. 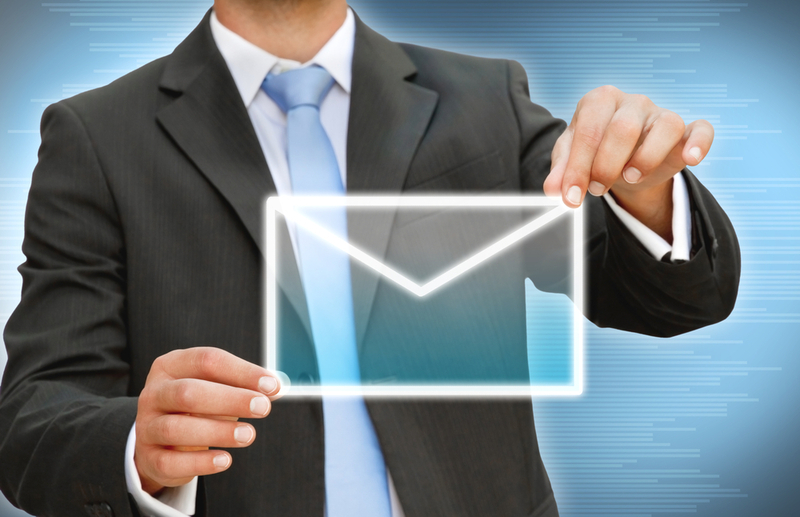 To increase the chances of a buyer opening the message, make it relevant and avoid spam sounding sentences. A subject line like “You mentioned recently” or “I noticed you”, plus include their first name and any snippet of information that will spark an interest or curiosity. Make it 100% Personalised: Always state your name, and give the buyer the context into why you are reaching out. Then add in the value exchange (what is in it for them – research/information/similarities etc). Then maybe reference a piece of content you found from insights research. These elements are what separate your messaging from the raft of other messages they get every day from sales people doing a brochure dump or vanilla flavoured template. Include an Impact/Value Statement: If this is a conversion message, then every sales person should address the buyer WIIFM (What is in it for me). Talk about what you can do for them referencing specific case studies, facts or clients. Include a statistic and a time frame. As Harvard marketing professor Theodore Levitt put it: “People don’t want to buy a quarter-inch drill. They want to buy a quarter-inch hole.” You must understand why your customer wants that hole. Cultivating relationships within that context is much more powerful. Every message should ideally end with a question asking them to take a specific action. If this is a connection request, then keep it with context and zero sales pitch. If a conversion message (moment of truth), maybe end by asking for a time to have a chat (reference some specific times you are available). I read your quote in the Irish Times where you mentioned you plan to growth 250% in 2017 with a particular focus on SaaS companies and you are now putting your plans in place. Social selling will enable your sales teams to generate additional sales pipeline in these areas, which will enhance your company’s ability for larger deal sizes. Increase their qualified leads pipeline by 35% plus within 12 months. Create team revenue (sales & marketing alignment) to accelerate revenue. Drive sales enablement and account development through leadership buy-in and measures. Can I have 15 minutes of your time for me to share the digital transformation success we are seeing across many Irish companies? I noticed that you looked at my profile and commenting on the article “How to Social Sell” I shared in some LinkedIn groups. I research and write articles on using social media to drive business, so if you ever require information on social selling, feel free to use me as a resource for whitepapers and research. Look forward to connecting with you. Creating the right message is all about creating value for the buyer at the right time, this value has to be separated in connecting, being useful (conversations) and being valuable (conversion into pipeline). Sales people need to understand the buyer (ICP’s/buyer personas) from all fronts, individual, company and industry. The skill is to do the research and craft messaging around the buyer’s journey you have plotted. LinkedIn can be a powerful sales tool when used as part of lead generation and networking activities. As social selling and reaching social influencers becomes ever more important in raising awareness of a company, brand, product or service it is important to use LinkedIn effectively. However, before any lead generation can happen, it is important to build up your network and influence across the social groups on LinkedIn. Every business, marketing and sales person should focus on 3 key actions. Give to receive: Share quality, relevant content and news from multiple sources. Behaviour: Buyers are well informed and knowledgeable so be genuine and insightful. Connecting: Invest time connecting to people you know plus customers, influencers etc. Tip 1. Profile: Yes, it seems obvious that you need a profile but the point is you need a full profile (photo, career, articles, social pitch) that will support the lead generation activities, not just any profile mashed together. Tip 2. Think of your profile as a commercial that clearly spells out “what you do”. So make sure you complete the entire profile (also state that you are open to connecting with people), you could also import your resume or CV. Tip 3. Make sure maximize the section below your name by using keywords. Select keywords that promote your products or services. If a potential buyer is searching for someone to do “sales and marketing” they are more likely to find you than if you list your company name. Tip 4. Spend time completing your work history, summary and employment sections (again using active keywords), highlight any accomplishments or achievements. This builds trust within the LinkedIn community. Tip 5. On-line users can be very visual, so try to include Slideshare content, presentations or videos on your profile and not forgetting any articles you published on LinkedIn pulse. This builds authority. Tip 6. Unless you are a major social influencer, it is best to keep your LinkedIn profile pretty open as you are using LinkedIn for lead generation, so the easier it is for “social ties” to connect with you, the better. This builds connections to business people and weaker social ties. As I keep stating, you will attract more followers and connections if you post fresh, valuable content on a regular basis. I have written elsewhere on The Bitter Business site about the power of content marketing. On LinkedIn stories that have a social twist, that educate, that gives insights or have a human element will attract the highest readership. Posting articles with a variety of content, on a regular basis on LinkedIn or indeed any social network is best practise. The content should consist of sharing blog (links) updates, as well as unique written content for LinkedIn to share with your connections. Remember content marketing creates awareness of your company and puts you on the road as an authority within a group or subject. Also, as with all content marketing, make sure your content is SEO optimized. Without being overly promotional try to include a subtle call to action (CTA) in your LinkedIn posts. 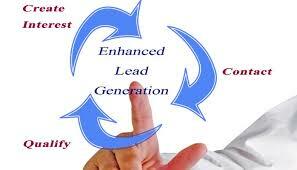 Including a link back to your company website is a great way to increase your lead generation performance. Content marketing is not just about self-promotion, it also includes content curation and is a good way to encourage connections by sharing updates from social influencers and industry experts in your own updates. It is all about, giving to receive as you cannot expect sharing of your own content unless you are willing to share quality content written by others. Try to give LinkedIn updates daily, maybe once or twice a day (with no more than a couple per day). Some social media gurus believe sharing posts in the morning works best, my own view is either late afternoon or just after lunch. Experiment to see what times work best for you. Content marketing is aimed at matching the needs of potential customers as they travel the buyer’s journey – awareness, consideration and decision. We now know from studies that in today’s on-line world, B2B buyers do most of their information and awareness gathering on-line, not waiting for some salesperson to ring them up. In fact, many B2B customers prefer to purchase on-line — that’s how Dell created a global business selling computers online. It is critical that you DO NOT view your content shared on LinkedIn as some sort of teaser or preamble in B2B lead generation — it is the main tool in creating buyer awareness!! Always give readers all the information they need to work with you, not just a few selected sound bites or customer success stories. Your tactics is to carry potential customers on the buyer’s journey from awareness to consideration, on to decision and through post-purchase. So the content shared should include information on using the product or service, answers about installation or how to use, any industry recommendations or awards plus encourage feedback on the articles are all important factors in providing for the entire buyers journey. No lead generation or marketing campaign is complete without capturing data to assess performance and provide information to tweak the campaign. LinkedIn provides some good analytic tools to track performance of your LinkedIn company pages including clicks and other interactions. Make the most of these analytic insights by doing conscious testing — article headlines, post types, post times — not just monitoring passively. With patience and work, LinkedIn social selling can not only generate leads but also influence buyers considerations. 43 LinkedIn Business Groups with over 150,000 members but less than 300 jobs. LinkedIn is a great business networking tool; however when it comes to Irish jobs for people seeking employment (sales, marketing, management) in Ireland it does not look so good. I am a member of 50 business groups on LinkedIn; of these the 43 Irish business groups I am a member of are focused on Irish business, sales, management, marketing and technology. As the Irish economy is booming with projected growth rates of between 4.6% and 5.7% in 2015 and 2016 (rte, NTMA) and as we are well into 2015 I wanted to check out how the jobs available on my LinkedIn groups were going to be able to keep up with the skill shortage the Irish press love to write about. The table below lists out the 43 group NAMES I am a member of, with the membership numbers and then jobs or roles available. Of the 354 roles available when you remove duplicate postings on multiple groups the number drops well below 300. Also with my Ireland Inc. hat on, I could only find 1 or 2 roles for local Irish companies, are these numbers a truer reflection on the local Irish economy, 2 roles across 43 very active LinkedIn groups? The 171 roles on Sales Leadership Ireland are dominated by Google, Facebook, LinkedIn, AdRoll where local SME’s seem to have very few jobs. Social Media Ireland had 1 local role. What do these numbers tell us? Well, the numbers tell us the average membership size on the 43 LinkedIn groups I belong to related to Ireland is 3,637. Again there is a large overlap with people being members of multiple groups. A quick calculation would suggest out of the 156,419 members on the groups, maybe 130,000 are unique profiles. The numbers also tell us when roles within multi-national companies are removed there are very few open roles in local Irish companies. I will leave it to the reader to draw their own conclusions and comments. Maybe companies simple do not use LinkedIn to advertise their open positions, maybe there are none. Maybe LinkedIn is not good at getting smaller companies to advertise available jobs, or maybe, just maybe the small number of job roles within local Irish companies is an accurate reflection of the local Irish economy.